The 2009 BMW 7-Series will be here before you know it, so if you prefer the look of the current car, you might want to contact your dealer to ensure you can still get one--BMW won't sell too many of these this year. Controversially styled, the 2008 BMW 7-Series still performs like a smaller sedan and carries rear passengers with ease. Editors at TheCarConnection.com read road tests about the new 2008 BMW 7-Series to compile this definitive review. 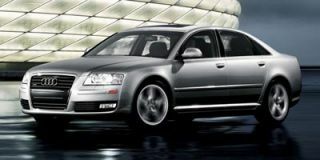 TheCarConnection.com's car experts also drove the BMW 7-Series to contribute opinions and observations that can help you make the right buying decision. This review also compares the 2008 7-Series with other cars in its class to give you the best advice and to help you decide which reviews to trust. The 2008 BMW 7-Series returns for the new model year with its formerly controversial shape muted somewhat and a newer, less radical version on the way. The current silhouette has not been well received by the press, but sales of the 7-Series are still strong, and BMW credits the groundbreaking shape with making the 7-Series a stronger competitor for the Mercedes S-Class. So what does the 2008 BMW 7-Series offer those buyers who must have this year's model? There are two body configurations differentiated by a variation in wheelbase of nearly six inches. Both body styles (identified as the 750i and long-wheelbase 750Li) are powered by a 4.8-liter, 360-horsepower V-8 engine. The long-wheelbase 7-Series may also be equipped with a 6.0-liter V-12 engine rated at 438 hp; it's teamed with a six-speed automatic that has manual-shift capability. This 7-Series is known as the 760Li. With either engine, the 7-Series performs like a powerful musclecar that has graduated from post-secondary charm school. Both are swift, smooth, and not quite silent (hearing a powerful engine is a good part of driving this BMW)--and neither are miserly with fuel. In general, the big BMWs have sportier handling than the Mercedes S-Class--but they still feel heavy compared to the latest Jaguar XJ and Audi A8. The generous space inside the 2008 BMW 7-Series is appointed luxuriously and with impressive technologies, though the dash itself is busy and dark. Along with an impressive audio system, the optional luxury seating package includes front chairs that are heated and cooled; in addition, they have a massage feature. Unfortunately, the infamous iDrive system that commands the climate control, navigation, and audio functions is still there--like a bad penny. BMW promised more simplification of the system for 2009. The front seats are luxurious and comfortable, but it's the backseats that feel almost regal--particularly in the long-wheelbase editions. All manner of safety gear is included as standard equipment in the 2008 BMW 7-Series. The 2008 BMW 7-Series's exterior might cause controversy, but the interior is better received. The 2008 BMW 7-Series returns for the new model year, with its formerly controversial shape muted somewhat, and a newer, less radical version on the way for 2009. The current silhouette has not been well received by the press, but sales of the 7-Series are still strong, and BMW credits the groundbreaking shape with making the 7-Series a worthier competitor for the Mercedes S-Class. Automotive.com reports that "as for the 7-series's polarizing styling, BMW toned it down a bit with a 2006 redesign...the old teardrop headlights seen on the 7-series that debuted in 2002 are gone, replaced in 2006 by more conservative, conventional units." Car and Driver notes, however, that the 7-Series 2008 BMW styling "isn't for all tastes," pondering whether "the aggressive bodywork, extended front and rear fascias and a rear spoiler that extends from the trunk looks a bit juvenile on a car like this?" Nonetheless, Kelley Blue Book states this BMW 2008 "strikes an imposing pose even standing still; the car looks substantial because it is...the 7 Series takes a bulldog stance that says to all other traffic 'don't even try.'" The generous space inside the 2008 BMW 7-Series is appointed luxuriously and with impressive technologies, though the dash itself can seem busy and dark. All sources researched by TheCarConnection.com were impressed with the 7-Series’ interior, including Kelley Blue Book, which reports an "interior loaded with yards of leather and wood." Automotive.com declares the 2008 BMW Alcantara headliner "is extremely soft and the cherry wood trim looks deep and rich." ConsumerGuide contributes its own opinion about this BMW 2008 interior: "top-notch materials and generous use of wood give [BMW 2008] interiors a sophisticated, modern ambiance." The 2008 BMW 7-Series feels big and heavy but capable—and thirsty with the V-12 engine. TheCarConnection.com notes the usual high performance standards for the 2008 BMW 7-Series. Both body styles (identified as the 750i and long-wheelbase 750Li) are powered by a 4.8-liter, 360-hp V-8 engine. The long-wheelbase 7-Series may also be equipped with a 6.0-liter V-12 engine rated at 438 hp; it is teamed with a six-speed automatic that has manual-shift capability. This 7-Series is known as the 760Li. With either engine, the 7-Series performs like a powerful musclecar that has graduated from post-secondary charm school. Both are swift, smooth, and not quite silent (hearing a powerful engine is a good part of driving this BMW)--and neither are miserly with fuel. In general, the big BMWs have sportier handling than the Mercedes S-Class--but they still feel heavy compared to the latest Jaguar XJ and Audi A8. There's nothing but accolades for the six-speed ZF automatic transmission, which Automobile says provides "power delivery...so smooth that it hardly seems you're moving quickly." Cars.com reports that the "six-speed automatic transmission includes shift buttons on the steering wheel for manual control," while Edmunds declares that the "automatic furnishes some of the quickest, smoothest shifts we've ever experienced." Despite the marginal difference between the BMW 2008 V-8 and V-12 engines, drivers will notice a major difference at the gas pump; while the V-8 "earns a respectable 23 mpg on the highway," according to Cars.com, the fuel economy for the V-12 is predictably low. The reviewer at Automobile laments that "with a V-12 engine that only gets 13 mpg...I can practically see an oil well running dry and a bank account emptying every time I really put my foot down." The EPA rates the V-12 at 13/20 mpg. The BMW 2008's steering is described as "precise" by both Automobile and Automotive.com; the former contends that "the suspension absorbs bumps but doesn't make you feel disconnected from the road, the brakes are quite good," while the latter mentions that "the big sedan handles much better than it should," noting that the "nearly 14-inch brakes stop the 5000-lb car with ease." The 2008 BMW may in fact have too good a ride; Car and Driver comments that "an element of trust [is] needed to push the limits, as heavy steering and a general sense of isolation make it less involving than we might like, not instantly syncing the driver to the car's capabilities." Edmunds observes, "while it may be a stretch to call such a large car nimble, it's easy to confuse it for a sport sedan when enjoying it on the open road." It doesn't rate a perfect 10, but the 2008 BMW 7-Series certainly deserves high marks for luxuriousness. The 2008 BMW 7-Series offers the usual high standards of comfort and ride. The front seats are luxurious and comfortable, but it's the backseats that feel almost regal--particularly in the long-wheelbase editions. This BMW 2008 offers "a large rear compartment (especially in the long-wheelbase 'Li' versions) and a well-shaped rear seat provide limolike comfort for those in back," says Edmunds; ConsumerGuide reports "firm, roomy seats with fine contour, support, and range of adjustment make for comfortable driver seating...[in the rear], two adults enjoy spacious opulence." Car and Driver nonetheless warns that the 2008 BMW has "annoying seat controls." Automobile does not agree, however, remarking that the BMW 2008 "power driver's seat can be adjusted in so many directions that you can make it almost literally hug every curve in your body." There's no letdown when it comes to storage space; perhaps no news is good news, but ConsumerGuide was the only source that commented on the "large, handsomely finished trunk" that can "hold four golf bags crosswise," adding, however, that "cabin storage is good, not great." Automobile remarks that "the interior of this [BMW 2008] vehicle reeks of luxury -- the materials are first-rate." Cars.com notices "an Alcantara leather headliner and sunshades for rear passengers." For some reason not specified, however, ConsumerGuide says that "overall the car misses the mark as a luxury sedan." This may be due to what Edmunds suggests, that "some plastic trim, namely on the upper door panels, is an odd misstep." Again, there was not a great deal of commentary on 2008 BMW noise levels. "Wind rush is just a murmur at highway speeds. Engines hit rich notes at full throttle but are hardly noticed otherwise. 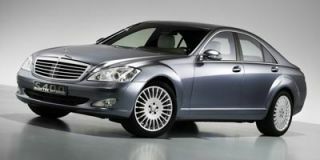 Tire noise is low, if not as muted as in [this BMW 2008] Lexus and Mercedes-Benz rivals," reports ConsumerGuide. The 2008 BMW 7-Series earns nearly top marks for safety. Despite a lack of testing data from the National Highway Traffic Safety Administration (NHTSA) and the Insurance Institute for Highway Safety (IIHS), the 2008 BMW 7-Series comes with a long list of standard safety features. Cars.com notes that for this 2008 BMW, "Eight airbags are standard, including front knee airbags, side-impact airbags for the front seats and side curtain airbags for both rows." Furthermore, this BMW 2008 base model comes equipped with "four-wheel-disc brakes, traction control and an electronic stability system." This source adds, "side-impact airbags for the backseat are optional." Edmunds reports that "front and rear parking sensors and a four-year subscription to BMW Assist telematics are standard" on every 7-Series 2008 BMW. Purchasers of this BMW 2008 also receive "a brake-drying feature that periodically wipes the brake rotors when the windshield wipers are in use" and can opt for "a Night Vision system, which uses an infrared camera to monitor obstacles nearly 1,000 feet ahead of your 7 Series [BMW 2008]." The one thing that keeps this BMW 2008 from getting a perfect score is a visibility problem as revealed by ConsumerGuide, which notes "front headrests interfere with over-the-shoulder view." The 2008 BMW 7-Series offers all the comforts of home—a very well-heeled home. Those looking for useful (and not-so-useful) equipment will not be disappointed by the 2008 BMW 7-Series. ConsumerGuide reports that the 7-Series 2008 BMW lineup "includes the 750i, 750Li, Alpina B7, and 760Li." Automotive.com challenges car buyers to "think of every luxury function a car could possibly be ordered with...The 7-series [BMW 2008] has it...20-way comfort driver's seat, pop-out phone keypad, column-mounted electronic gear selector, intricate climate control, Bluetooth, active cruise control, 6-disc DVD changer, LED atmosphere lights, and more." This source adds, "despite these features, the [BMW 2008] interior is not nearly as intuitive as it could be." Cars.com states, "If the doors aren't closed all the way, a soft-closing feature pulls them the rest of the way shut." One annoyance that continues to be a part of the 2008 BMW is the "iDrive control system, which uses a single knob to control the audio, navigation, and phone systems"; according to ConsumerReports, this still "causes frustration." Edmunds informs that the BMW 2008 7-Series models "are eligible for a long list of options." Kelley Blue Book divulges that "most [BMW 2008] 7 Series options can be found bundled into packages...available features [include] the Logic7 premium Surround Sound system with 13 speakers and a six-disc CD/MP3 player, the Adaptive Ride Package with self-leveling rear suspension, power-closing doors, power trunk lid, Adaptive Cruise Control, rear side-impact airbags, rear-seat DVD entertainment system, Night Vision and rear climate control."